Holy buckets, what a weekend! 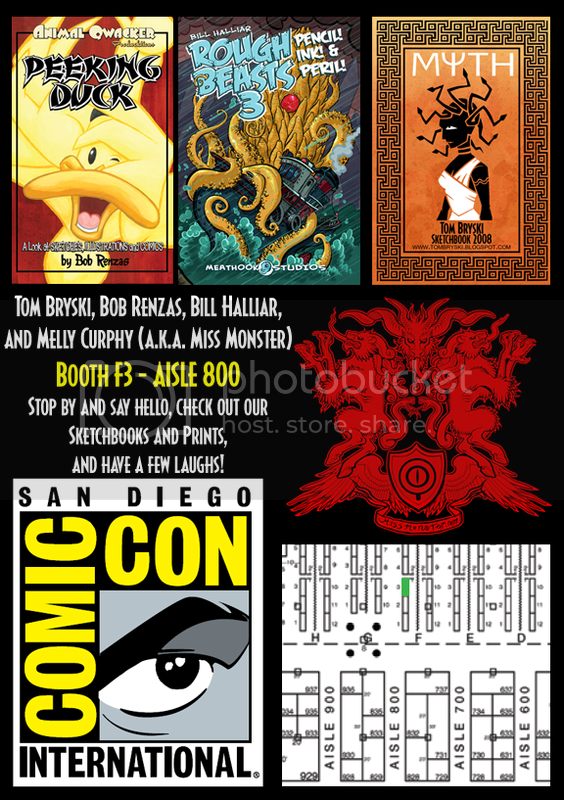 Big thanks to all who stopped by our little table. Even bigger thanks to those of you who gave me money! Bwah! Also, thanks to the Disney people for the swell party; Mr. Tennapel for hanging out with us at said party; DC for taking the time to meet with me; both Ape and Boom! for probably wanting me to draw stuff for them; and all the awesome people we met and hung out with! 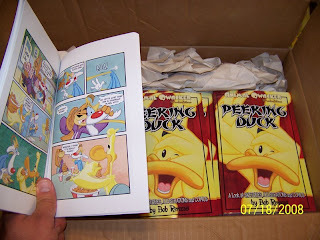 For those of you who didn't come and were interested in picking up a copy of "Peeking Duck", I will be setting up a little store for it soon. It'll be $15 (US only at the moment) and I'll do a sketch in it for you. Since I sold out of so many and since I had many people ask about it, I will eventually set up a store for prints as well. If anyone's really interested, I have the last 2 copies of my first skethcbook, "Gorilla Salad" left (EVER!). That's $10; drop me a line if you wants one. Fresh outta da box! Get 'em while they're hot! Limited quantities!